Barry is one of the most energetic and creative people I have ever had the privilege to work with. He has a unique ability to see through the bull and find the core of any situation or problem, and then offer a suggestion on how to move forward. He is a survivor, and he can coach the same in others. 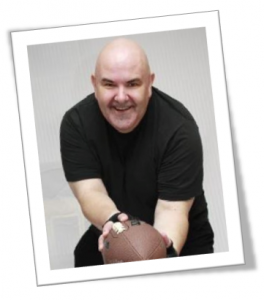 If you ever need to create engagement, or a new direction in thinking in either you or your team, you’d better call Barry, because no one has his energy, humour or ability to get results. — Paul Kearley, Dale Carnegie & Associates Inc.
At Epic Engage™, we offer 7 online coaching and certification services under the banner of 5th Strategy Coaching™. Listed here in detail, this “syllabus” page has some length but the trip down the page is worth it. Real time, real world leadership that gets results; that is BOLD SCHOOL™… online. It is designed and intended for emerging leaders; youth and adults serving and leading in community. Launching in March 2019… here, you will find 30-minute live video engagement with practical exercises for leadership development, monthly, and exclusively offered to members. Online and live leadership coaching that is accessible, affordable, repeatable and at your pace; that is STRONG SCHOOL™; an ongoing video-based coaching initiative that engages powerful and practical leadership strategies for educators to educate, lead, unite and inspire. This program is self paced, results driven and continuous. It is designed for the educator that seeks to make that lasting impact and difference. Once in, you are in; and for a one-time fee. COMMAND Coaching™ is our personal leadership and speaker coaching package; higher end, deep on character… and intense. Ultimately, it is designed with you. We design it together, for your best results. Barry’s world class experience in leadership, training and speaking is real and remarkable. He does indeed have 35+ years in speaking, educating, managing and leading, and over 15,000 contact hours in speaking, training, and facilitating… with over 1500 clients coached. He has spoken to audiences as large as 4,000 with Premiers and Governors for opening ceremonies. He has been engaged at the national level as a Board member with the Canadian Association of Professional Speakers. He has stood in front of literally hundreds of thousands of people of all ages and backgrounds and captured and held their attention, by being himself at his best. Then, as a Master Facilitator with the Virtues Project™ and a Facilitator with Personality Dimension®, he is an expert on exploring character and temperament, and aligning style as a communicator and leader who humbly commands attention. He has lead countless projects and teams in the classroom and in the private, public and not-for profit sectors. He brings it all to COMMAND Coaching™. 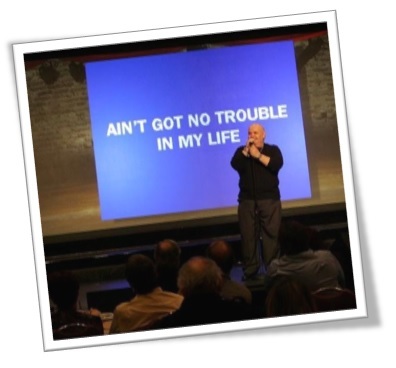 This is world class speaker and/or leader coaching made accessible and drawing on the one and only experience and expertise of Barry Lewis Green as a speaker, speaker coach and strategic leader over 30 years… locally, nationally and internationally. Barry has worked with no less than 3,000 speakers and leaders in training. His emphasis and expertise is on character as personal power and ultimate “brand”… as that speaker and leader. COMMAND Coaching™ is designed for you, and ONLINE. This program is fantastic for those who need to command their best to inspire themselves and others; and get real results. It kicks it and is conducted over 4 sessions; with the option to continue building beyond. This is our business planning and leadership coaching. EPIC Business Design™ works with you. With Tracy Carberry, Holly McCue and Dennis Dober… we help you develop a formidable and professional business plan that sets your sights and how you will get there. We work with start ups and social enterprises looking to build a business that makes a difference. We work through and with Metro Business Opportunities and NLOWE in doing so. CONTACT US. The LIFE/workshop™ (aka The LIFEleadership Course™) is indeed an accelerant. Add to your skill set and tool belt; and connect more powerfully with those you serve and lead. Train as a Globally Certified Facilitator for The Virtues Project™. 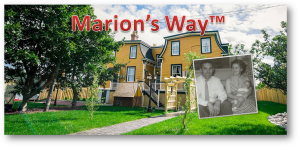 Marion’s Way™ is designed to help speakers, coaches, educators, and leaders more effectively understand and reach ALL of their potential and actual clients, colleagues, teams and audiences. As a Master Facilitator with The Virtues Project™, a Certified Facilitator with Personality Dimensions®, a 35+ year corporate trainer and a 25+ year business college educator, Barry knows the dynamics of serving a myriad of temperaments and perspectives, often in the same room. The intent of this coaching program is to engage and empower in such a way that the 5 Strategies of The Virtues Project™ become an everyday approach to connection and success; on the ground and sustained. The strategies are powerful and augment all other learning delivery systems and approaches. Here, you become a Certified Virtues Project™ Facilitator, individually coached by Barry, Master Facilitator for The Virtues Project™ since 2007. The Certification empowers participants to facilitate this remarkable and globally recognized material at school, family, work and community… and effectively weave it into their own body of work and expertise. And for more Virtues Project™ Coaching, click here. Striving to better educate, lead, unite and inspire? Get our Purpose Pack; a starter kit on exploring purpose - FREE. The CAST is the Community Advancement Strategic Team of EPIC, and we want to connect with you!